Asus has been launching the flagship and mid-range smartphones from the company in the Asus Zenfone series which is the flagship series from the company from man years. We have seen that the flagship Asus Zenfone lineup of 2017 was launched by the company and the smartphones were announced in the Asus Zenfone 4 series. Now, the next flagship Zenfone series is set to be announced by the company and this will be known as the Asus Zenfone 5 series with the Asus Zenfone 5 as the flagship Asus smartphone for 2018. Now, it is known that Asus is going to launch the Asus Zenfone 5 along with other Zenfone 5 series smartphones very soon. Thus, it is time that the official renders as well as the images of the smartphones start to get leaked as is the case with every other smartphone that is about to be launched. Now, we have the early renders as well as sketches of the design of the next flagship smartphone from Asus which will be named as the Asus Zenfone 5. These leaked renders are available to us thanks to the popular leaker Roland Quandt from WinFuture.de who has outed the design of the Asus Zenfone 5. 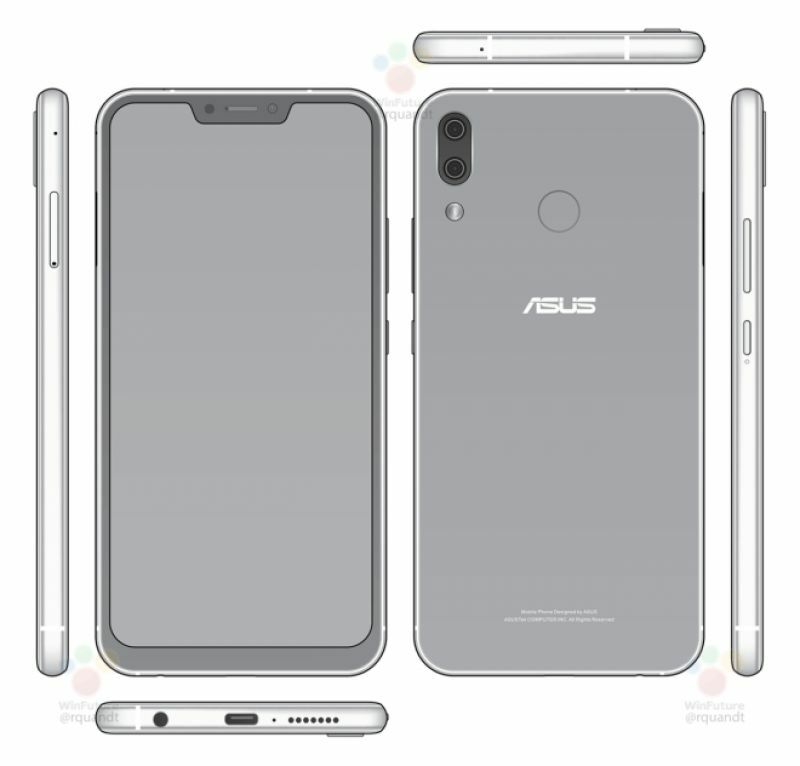 Now, it is fair to say that Asus has been heavily inspired by the Apple iPhone X while designing the Asus Zenfone 5 as the smartphone is completely the same as the iPhone X in terms of the design from the front and the back, including, the notch on top. In terms of the design and features, the Zenfone 5 from Asus will have a bezel-less 18:9 display along with a dual camera setup on the back. Also, it is rumored that the Asus Zenfone 5 will be launched at the MWC which is going to be held next week. Stay tuned to know more about the Asus Zenfone 5 from our coverage of the MWC 2018.